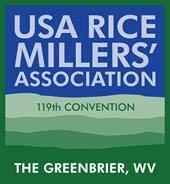 The 119th convention of the USA Rice Millers’ Association (RMA) is scheduled to be held this year from June 12-15th. 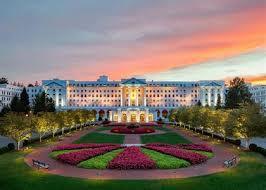 The Greenbrier, a luxury resort in the Allegheny Mountains in West Virginia, will be hosting this valuable forum for the rice industry. Show support for the U.S. Rice industry by attending this prestigious event. The convention seeks to build and solidify business ties in the rice industry by bringing together hundreds of key players involved in growing, milling, packaging, exporting, and manufacturing. You will learn about new equipment and technology and build business relations to help you pursue new opportunities. The RMA Convention will be an incredible opportunity to network with rice industry professionals and key decision-makers. The venue at The Greenbrier will make it a memorable event. Starting with the Greenbrier Bunker Tour which walks you through an amazing period in resort’s deep history. You will visit a once top-secret U.S. government relocation facility for Congress carved deep into the West Virginia mountainside. Bunker Tours let you explore an interesting aspect of The Greenbrier… a look behind the hidden door! Annie Griffith will enliven your breakfast on Thursday morning, June 14th. Annie is a National Geographic photojournalist – in fact, one of the first women photographers to work for National Geographic. She has published 4 books, has worked on dozens of magazines, and is an accomplished speaker. Enjoy your breakfast while she takes you on her journey. No trip to The Greenbrier would be completed without a tour and comprehensive history of the resort and property. This luxury resort is situated on 11,000 acres and boasts 710 guest rooms, 20 restaurants, 36 retail shops, and more than 55 indoor/outdoor activities. The resort began in 1778 as the White Sulphur Springs, a destination for people to escape the summer heat. It was so named because of a spring of sulphur water at the center of the resort property. The current Greenbrier, built in 1913, was converted from a summer resort to year-round and has been visited by a total of 26 United States presidents. If you would like to enhance your business networking while enjoying a little history and fun, this event is for you. Attend the Greenbrier history tour, the Bunker tour, and enjoy great southern hospitality while networking and establishing connections in the rice industry to grow your business. Interra International will be in attendance of this convention and would like to be your efficient and effective wholesale rice supplier. Streamline the buying process and build a healthy supply chain. Let Interra International help you. Meet with our rice experts; they are motivated by your success. Global sourcing, logistics, and a wealth of industry expertise – Interra is ready to be your food partner! Contact us or simply give us a call. (+1) 770.612.8101 to make sure we connect at RMA. Enjoy The Greenbrier and we look forward to meeting you!